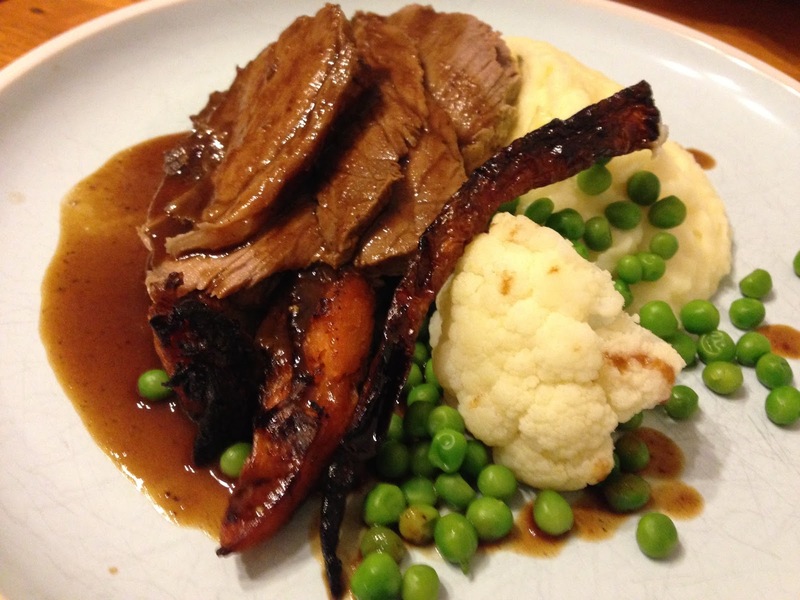 I cooked roast beef last week and thought I should share a few things I did which turned the meal into a real winner. Firstly choose a cut of beef. 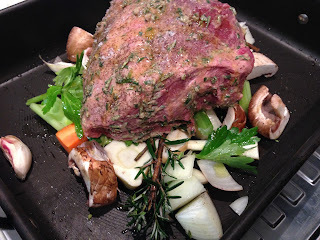 I used a fairly inexpensive topside cut and have to say the flavour it had was awesome. I usually cook eye fillet but this was better in lot of ways. I rubbed the beef with a mixture of dijon, fresh rosemary chopped finely and minced garlic, along with olive oil, salt and pepper. Roasted 1.5kg for about 1 hr 20min. Sit the beef on roughly chopped onions, parsnip, celery, garlic cloves, carrots, mushrooms, rosemary stalks and olive oil. Put a little wine and water in the bottom of the pan to stop the juices from burning. Check it every 20 minutes and add water if necessary. Roasted pumpkin and carrots slowly with oil till crispy, Steamed peas and cauliflower. For the mashed potato, boil Cream Delight spuds till soft, pass through a ricer the put back in pan over heat and remove some more moisture. Then add lots of butter an warm milk as well as salt and mix with a big wooden spoon.